SAVIO S. CHAN is a pre-eminent expert on US-China partnerships and building loyalty with Chinese luxury consumers. He serves as President and Chief Executive Officer of US China Partners Inc., a consulting and advisory firm that helps organizations design and implement their China consumer strategies. He spent two decades as a consultant on market entry, cross-border M&A and joint venture partnership innovation with some of the largest and best known global luxury and consumer brands, Fortune 500 and Chinese large State-Own and private companies. He is frequently featured in interviews and articles in the New York Times, Forbes, Chief Executive Magazine, and China Daily News. Savio serves as a member of the National Committee on US-China Relations and advises many ultra-high net worth legacy families in both the US and China. He is a frequent keynote speaker and panelist at various business and technology events including the Conference Board, Microsoft Technology Conference, Columbia China Conference, and Wharton China Business Forum. MICHAEL A. ZAKKOUR is a principal at the global business consulting firm Tompkins International, where he leads the China/APAC practice. He has more than 18 years of international consulting, marketing and business development experience, primarily in China. He has advised more than 300 public and private companies and organizations on creating and implementing strategies to enter, grow and change their businesses in China and on their engagement with Chinese consumers. 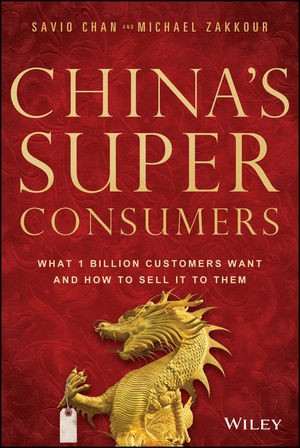 He has researched, and written extensively about Chinese consumers and consumption and the China Global Consumer Demographic, and has advised companies from around the world on retailing, branding, e-commerce, production, supply chains, and partnerships in China. He writes about business in China for Forbes and JING Daily and speaks frequently at universities, conferences, and vertical industry events. He is also a special advisor to the Confucius Institute for Business at the State University of New York. Michael also spent four years on the Board of Directors of the Asian Financial Society. His commentary and articles have appeared in the Wall Street Journal, Harvard Business Review, WWD, NPR, China Business Review, MSNBC, Newsweek, The Economist and many other commercial and academic media and journals.